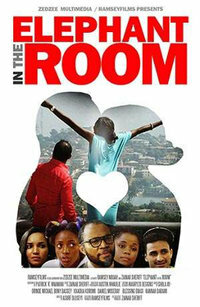 Elephant in the Room is a 2016 Nigerian romantic comedy film directed by Asurf Oluseyi, and starring Ramsey Nouah and Zainab Sheriff in lead roles. The film, which was shot and set in Sierra Leone, was released on 8 January 2016. This webpage uses material from the Wikipedia article "Elephant_in_the_Room_%282016_film%29" and is licensed under the GNU Free Documentation License. Reality TV World is not responsible for any errors or omissions the Wikipedia article may contain.